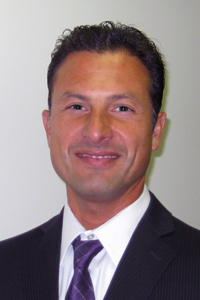 Jaime Rodriguez has joined the CIRCOR Aerospace, Inc. California team as Director of Operations, reporting directly to Andy Brandenburg, General Manager Southern California. Rodriguez will play a key role in the Corona senior leadership team. His duties include overseeing the operational and manufacturing engineering teams, targeting specific areas to drive continuous improvement in operational excellence, efficiency, revenue margins and team productivity, as well as implementing new directives for growth. Rodriguez will also partner with the CIRCOR Aerospace, Inc. Sylmar campus to integrate the newly added landing gear FAA repair station capabilities in Corona. Rodriguez’ previous position was with Synchronous Aerospace as Vice President and General Manager for the aerospace structural and assembly fabrication company. Prior to that, he was Product Support Director and Value Stream Operations Manager for Parker Aerospace Corporation. His focus over the past 10 years has been lean transformation, implementation of the AS9100 Quality System, productivity improvements within a rapid paced environment and managing and integrating multiple sites. He holds a Bachelors of Science Degree in Manufacturing Engineering from California State University, Long Beach and a Masters of Arts Degree in Organizational Leadership from Chapman University, Irvine. “We are very excited to have Jaime on the CIRCOR Aerospace Corona leadership team and have him build upon our 50+ year legacy of top quality fluid control, landing gear and actuation products,” commented General Manager Andy Brandenburg.